Are you Forming an LLC in Virginia? The importance of forming an LLC is immense for a small business. 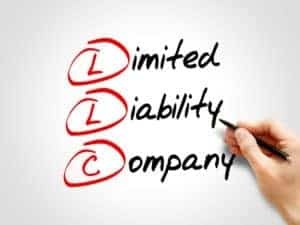 When forming a Limited Liability Company, it is important that small business owners follow the legal steps necessary. As such, I would highly recommend that anyone considering forming an LLC speak with a qualified attorney. Assistance with application for Federal Tax ID. Once your LLC is formed, we are able to assist with all aspects of your business. Our law office offers assistance with all tasks associated with LLC formation, governance and dissolution. Simply ask and we will present you with a proposed agreement for representation on an ongoing basis. Contact our office to discuss your needs and fees. Does my LLC even need an Operating Agreement? The importance of having a written Operating Agreement for your LLC cannot be stressed enough. This is true even if you are a sole member LLC. An Operating Agreement provides proof of ownership/authority. For starters, the Operating Agreement is the only document which shows that you are the true owner or manager of the LLC. Many times, Articles of Organization (which are public information) will have different names listed for the organizer and the registered agent. The majority of the time, the names of the individual members will not be listed on this public document. You will need an operating agreement to show that you are, in fact, the true owner of the LLC or that you have the authority to act on behalf of the LLC. As an example, a bank, title company or commercial landlord may require that you present a copy of your operating agreement to show that you have the authority to speak for the LLC. It would cast some doubt on your authority if you do not have any Operating Agreement to present. In this way, an Operating Agreement acts as a type of ID for the individual member or manager. An Operating Agreement clearly defines the relationships between members and managers. Unfortunately, partnerships and business ventures do fail. We have represented clients who did not have a written Operating Agreement and a dispute arose between co-owners (members). All too often, these types of oral agreements end in drawn out dispute. One of the important aspects of written agreements is that they define the relationship and also discourage certain types of behavior. An LLC Operating Agreement can be used to define/limit: transfer of ownership, meetings, authority of individual members, rules governing members, percentage of ownership, admission of new members, management roles, compensation, etc. An Operating Agreement helps protect your company’s limited liability. An Operating Agreement provides further proof that the LLC is not the alter ego of the member(s). If a legal dispute arises, the member(s) will be able to point to the Operating Agreement as further proof that appropriate corporate formalities were observed. The Operating Agreement allows members to govern themselves. In Virginia, like many states, there is no legal requirement that an LLC must have a written Operating Agreement. However, without a written Operating Agreement, the rules of the state will determine the default rules. For example, an LLC formed in Virginia will be governed by the default rules of the Code of Virginia unless the members agree otherwise in an Operating Agreement.